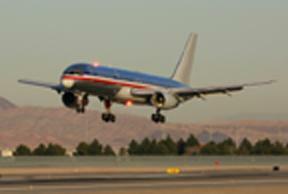 Traveling by air is one of the most popular means of transportation. Since finding cheap airfare, knowing what to pack and being up-to-date on the latest carry-on baggage restrictions can be a challenge, LoveToKnow simplifies the process and provides you with information that can help make your travel less stressful and more enjoyable. Everyone loves a great deal and that is no exception when it comes to travel. Whether you are looking for airfare at a discount for a person in the military or are planning a last minute trip and need cheap airfare, you are sure to find plenty of helpful information here to make it possible. You can also find tips that will help you find the best times to buy tickets and get the inside scoop from an online travel agent on how to find the lowest fares. You can also find a variety of tips on how to make the most out of your travel in the air. From finding the right travel pillow to flying with your pet, all the information you will need to make your trip pleasant is found right here. You can also find tips on packing for your trip and what to do if you are plus size and plan to travel by air. Instead of wasting your precious vacation time driving from one area to the next, find out if you can travel by air and reduce the time spent driving. For example, there are many airlines that fly within Costa Rica and other popular destinations, making it possible to easily explore all that the areas have to offer. Travelers can stay current with the latest information on how to track flights in real time and airline luggage restrictions with the information provided here. You can make your air travel enjoyable just by doing a little research and educating yourself on the latest airport requirements and airline regulations.